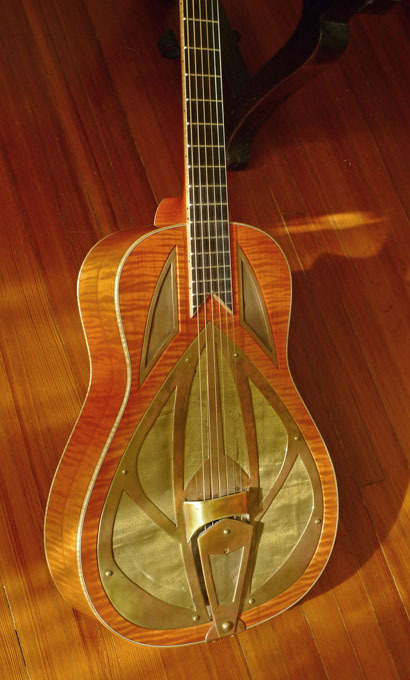 Martin established the X-brace as the standard in American guitars, but that was never pre-ordained, or set in stone. 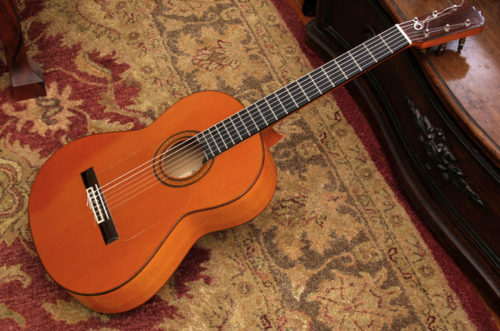 The fan-bracing of the Spanish guitar has equally appealing qualities, and is a century-plus long standard that continues to dominate the design of the classical and flamenco guitar. Not an “Estudio” (student) model, this is the top of line model, 1a Ramirez flamenco. 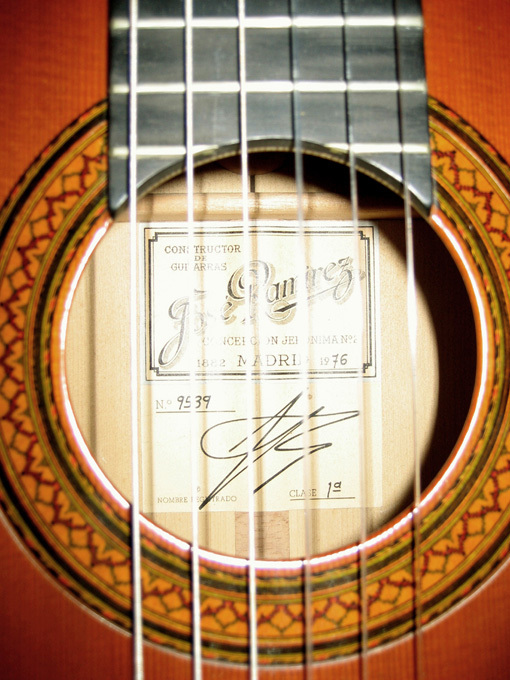 If you’ve never played one of these exquisite cypress Ramirez flamenco guitars–you’ll be surprised at the tone. Spanish cypress back and sides. 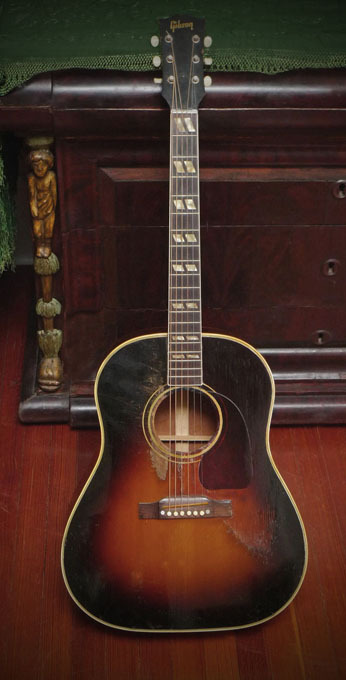 Cedar top. 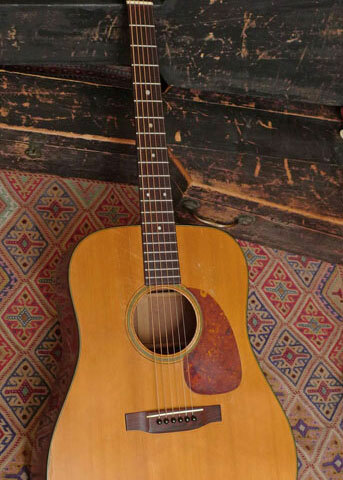 First of all, the guitar is so light. It floats in your hands, yet it’s tight as a drum. It’s one of the lightest guitars you will ever play (due to the lightness of the wood, and also to the use of tuning pegs–so that the head and neck of the guitar are not pulled down by gravity, allowing the head to float effortlessly at about eye level. And the raspy bass is unbelievable. It’s all about that percussive tone and throaty bass. 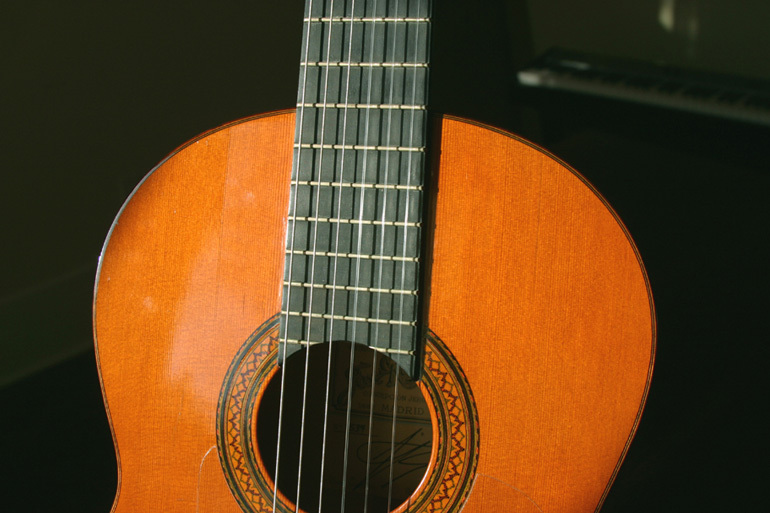 Conventional wisdom says rosewood for a “classical” guitar, for sustain; and cypress for a flamenco guitar, for the percussive, throaty quality, and more volume. Action is low, as it should be for flamenco. And that wonderful wide nut (2-1/8 inch), you’ve got so much room to move on this beautiful ebony fingerboard. Original finish. 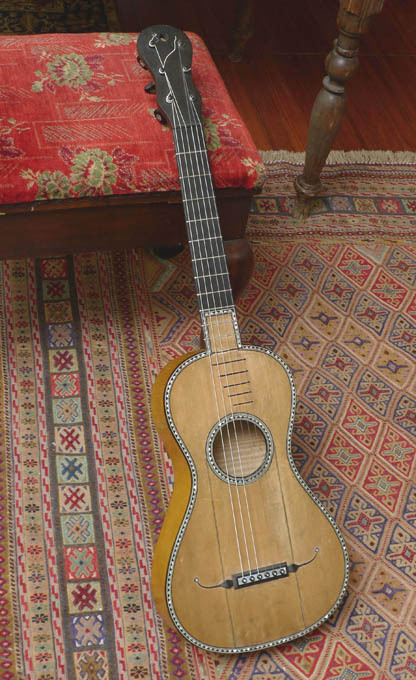 As with almost all these old Ramirez flamencos with the tap plate on top, there are shallow, thin hairline cracks where the top edge, and bottom edge, of the tap plate (clear plastic) meets the top (similar to the small cracks you get on an old martin, due to the guard being glued to the top). There is also a six-inch long hairline finish crack on the top above and parallel to the fingerboard (does not go through the wood), and a 3-inch long hairline finish crack below the fingerboard. 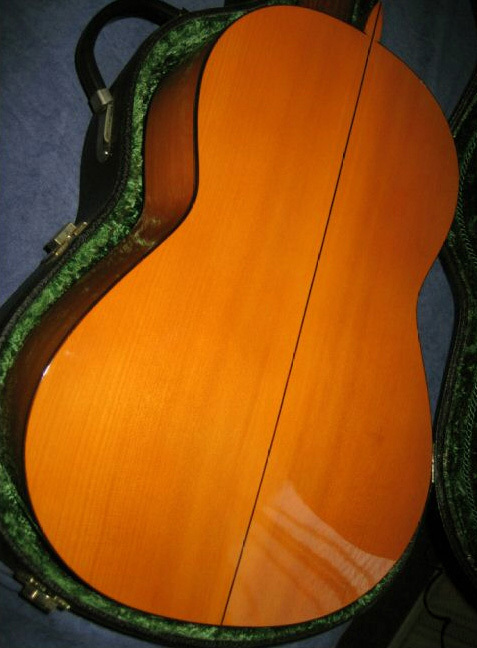 A few dings here and there, but finish is that original, beautiful high polish reddish-amber.